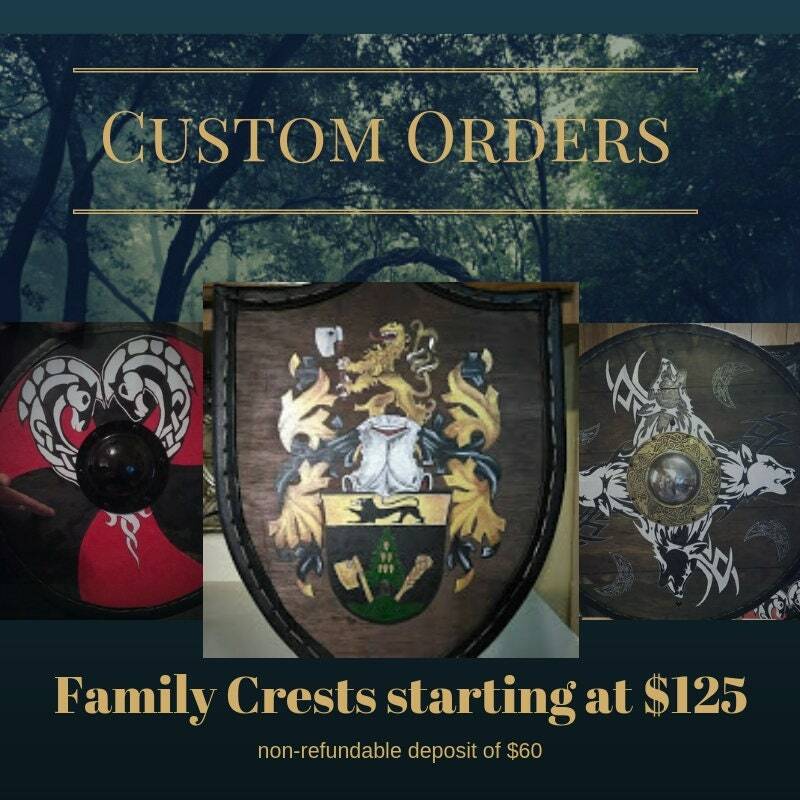 Share with us your family crest we will create a beautiful wood plague to hang proudly in your home. Do allow for 2-3 weeks for custom work to be completed. We require a non-refundable $60 deposit on custom work. Photos of work will be sent to you in order to keep you up to date on the progress of the order.